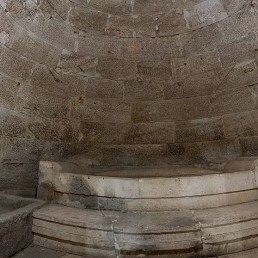 The Thracian Beehive Tomb in the village of Mezek (4th – 3rd century BC) is situated in the outskirts of the village of Mezek, a municipality of Svilengrad, in the mound of Meltepe. 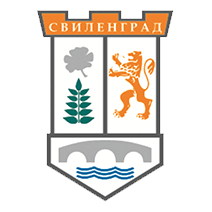 The village of Mezek is situated at a distance of about 13 km south-west from Svilengrad. In 1908, in the mound embankment a villager found a bronze sculpture of a wild boar in a natural size, weighing 177 kg. Nowadays, the find is situated in the archaeological museum in Istanbul – Turkey, because in 1908 this region was still within the borders of Turkey. A plaster cast of the original is placed in the museum in Haskovo. 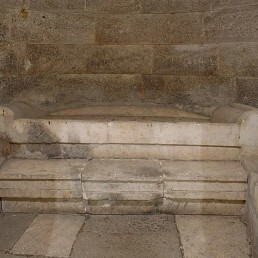 The tomb was found accidentally by local residents in 1931. 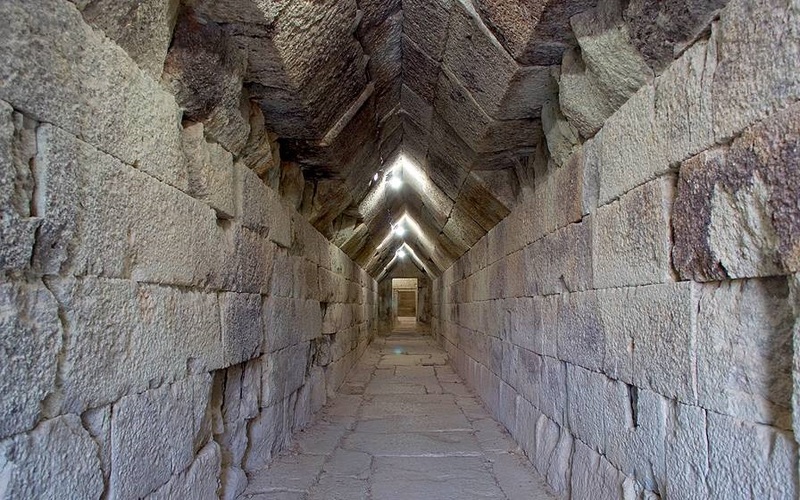 It was the largest and one of the most interesting and impressive beehive tombs of Mycenaean type in Thrace. It is entirely preserved in its original appearance. 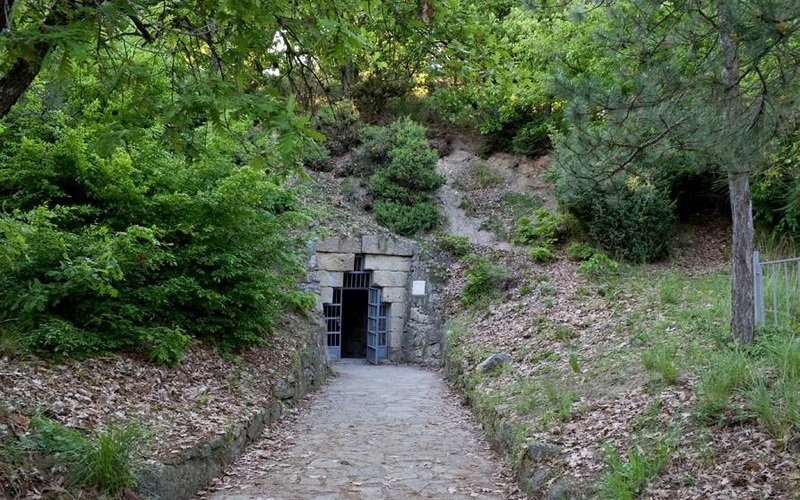 It was researched by Prof. Bogdan Filov – a renowned Bulgarian archaeologist and politician, a prime minister of Bulgaria in two governments within the period 1940 – 1943. It was declared a monument of culture in Issue 67 of the State Gazette of 1968. 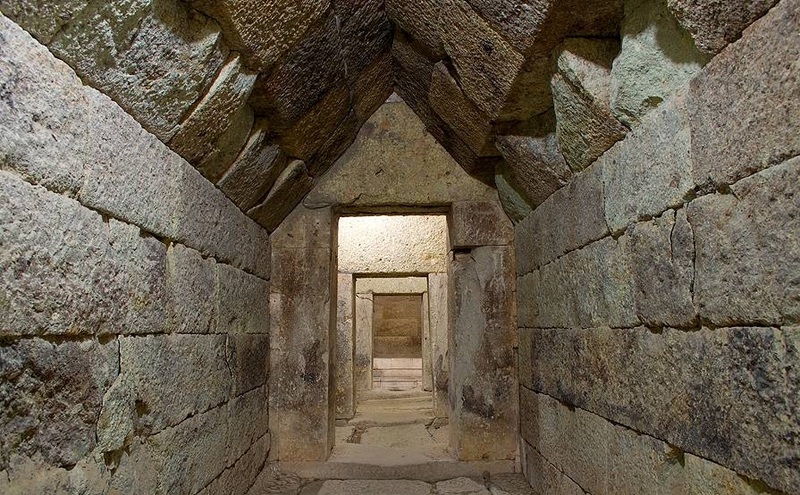 The tomb is covered by an impressive mound embankment with height of 14-15 meters and diameter of 90 m at the basis. It was constructed by carved stone blocks connected by iron cramps in some places. 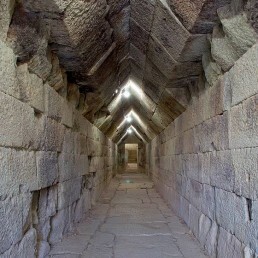 One can enter the tomb by a corridor more than 20 meters long (dromos). 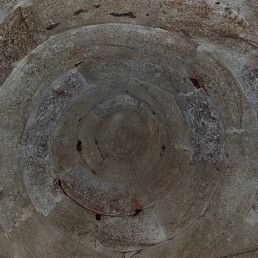 Then two rectangular anterooms follow, and after them – a round funeral chamber with a beehive dome. The total length of the installation is about 31 meters. 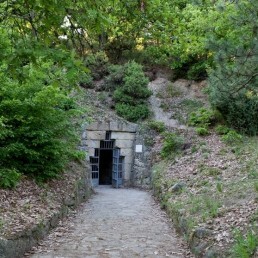 A large number of articles made of gold, bronze, iron, glass and ceramics, which are exhibited in the museums in Sofia and Haskovo have been found in this tomb. Among them there are golden jewels, earrings, a breastplate made of iron, silver, golden, bronze and clay vessels, a bronze candelabra (a large three-legged candlestick with lamps), 134 cm high, decorated with a large statuette of a dancing satyr. It is thought that the tomb was used as a temple of a heroon – a place where the cult of the godly diseased person had been celebrated by specific religious rituals. 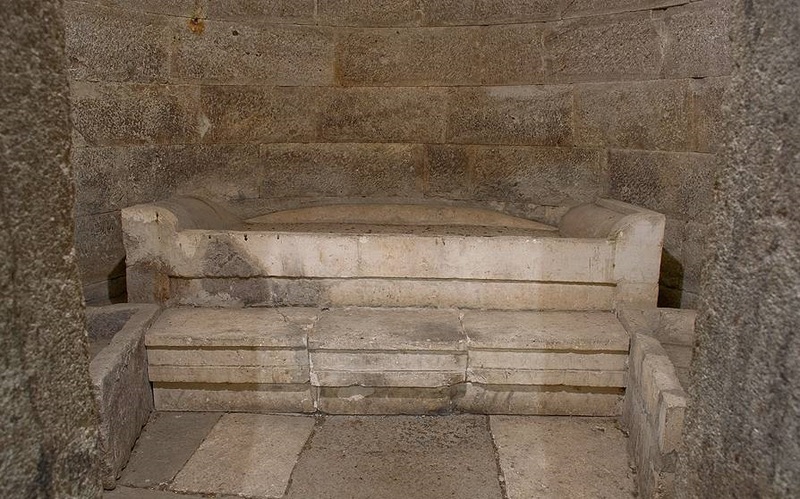 It had been used multiple times and most probably it had served as a family tomb of a Thracian aristocrat. Traces of six funerals were found. A woman had been buried in the anteroom. 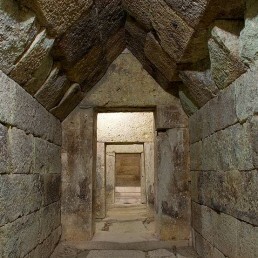 The tomb itself is a magnificent architectural work. In order to visit the tomb with a tour guide, you need to contact the Information Center in the village of Mezek. 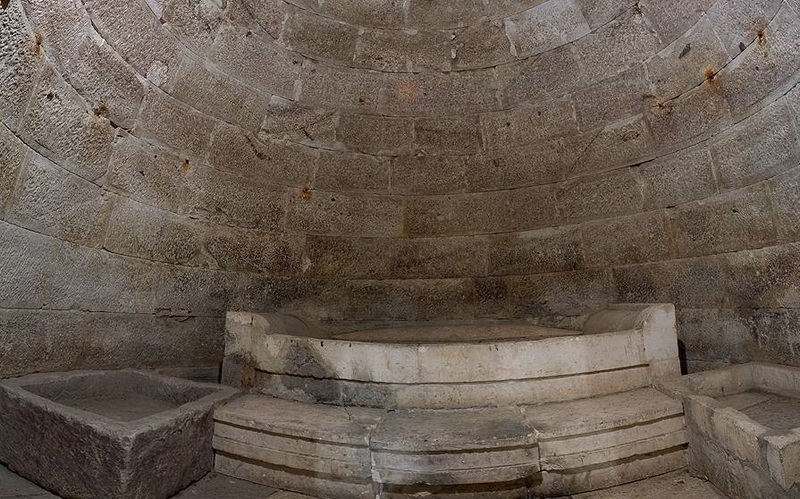 The center offers visits of the Thracian Beehive Tomb by the village of Mezek and the Medieval Byzantine Fortress at the village of Mezek upon a preliminary request. 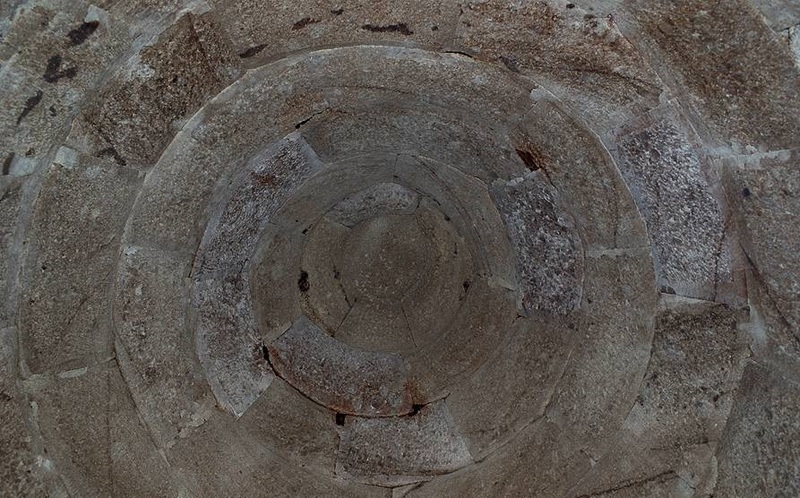 One more Thracian Beehive Tomb is situated below the mount of Sheynovets (704 meters above the sea level). Its anteroom is small and almost demolished, the beehive premise is now protected, but the flooring has been entirely broken down by treasure-hunters.